Some good things going on at Kenda. 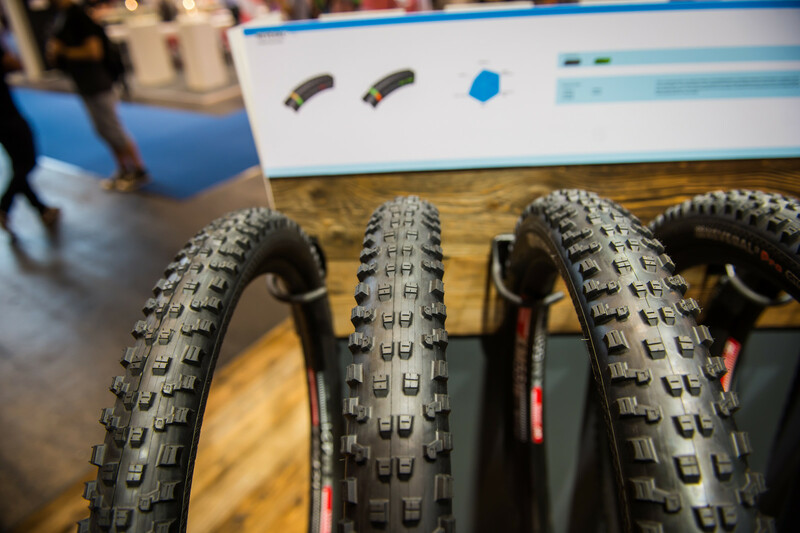 There are new treads and a wide variety of new tire sizes, including some 26-inch options for you hold-outs! 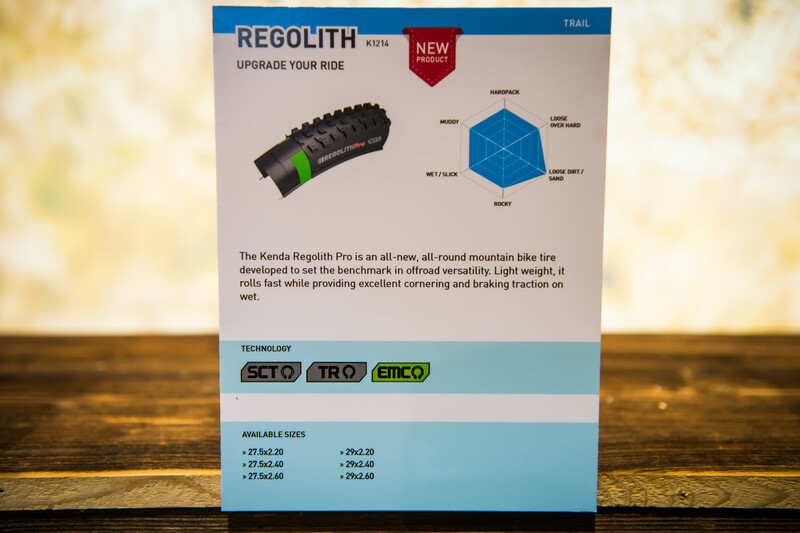 Kenda showed us their all new Regolith Pro tire which is an all-condition tire developed specifically for trail bikes. 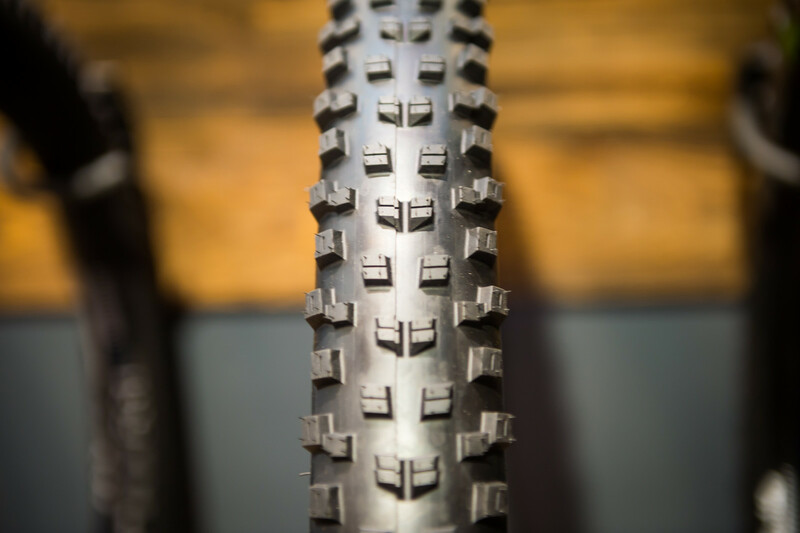 It weighs an average 650 grams and this tire will exist in sizes from 27.5 x 2.2 all the way up to 29 x 2.6, with or without sidewall protection. The models with added sidewall protection gain about 80 grams in the process and obviously become more resistant to punctures and sidewall tears. This is a 2019 product, so expect to see it on shelves early in the next year. The standout feature of the tread pattern are offset side knobs, every other of which has a small connection between the channel knob and the side knob developed specifically to give it a more predictable feel. It also helps avoid the side knobs from folding under a heavy load. Following on last year’s introduction of the Hellcat and Nevegal 2, Kenda has been busy adding sizes and different casing configurations to their range. 2019 sees the introduction of 26-inch versions for all the old-school holdouts as well as much needed 29-inch versions which were previously absent from the catalog. The Hellcat also sees the introduction of an enduro-specific casing which drops the weight down from about 1000 grams to 850. This tire also uses a slightly harder compound to make for a slightly faster rolling tire. 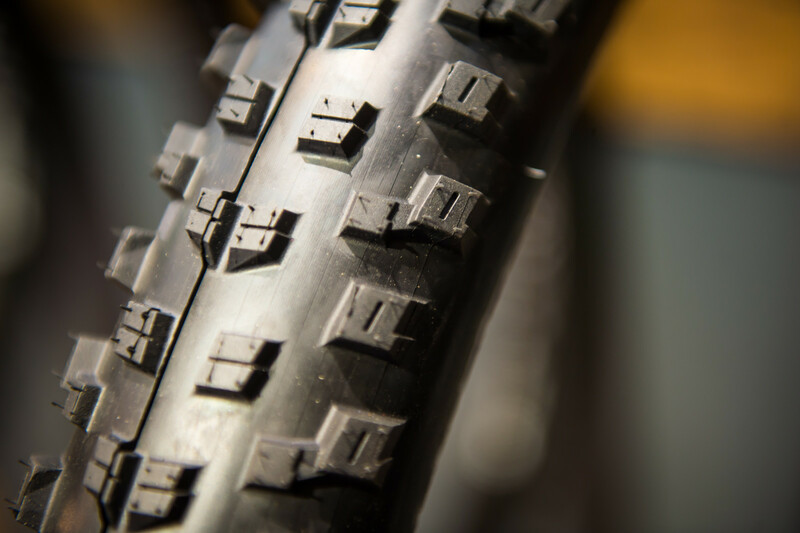 Rounding out the news from Kenda, the Helldiver rear-specific tire gains a 29-inch size while the Nevegal 2 goes all the way up to a 2.8 in the 27.5-inch configuration available with two different levels of casing and sidewall protection.